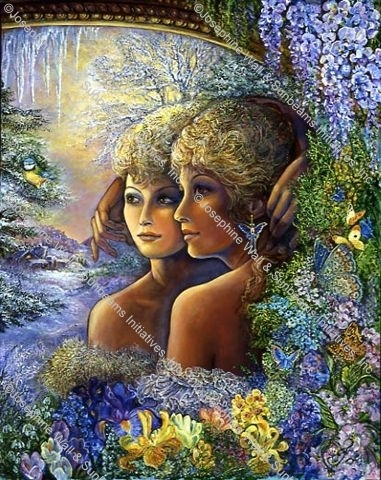 Luxuriating in the warmth of a long spring day, surrounded by natures bounty, she looks into the mirror and catches a glimpse of an icy wonderland. Perhaps it's a parallel world or just an alternative moment in time where two seasons exist simultaneously. The coolness of the reflection helps to relieve from the heat of the day, just like the wonderful coolness of an ice-cube in your mouth.